India and Oman share a great international relation from the early years of 300 BC. Oman started to trade with Gujarat and Malabar area in India during their initial trade. Later on, the trade between India and Oman started growing and Malabar area became their favourite trade location. The immigration from India to Oman and vice versa started growing and Indians in Oman became an integral part of their employee force. There are approximately 5 lakh Indian immigrants in Oman and as the immigration is increasing day by day, visa and attestation requirements are raising to keep up the national security. Other than the Indian government initiated Certificate Attestation Service, Oman will also have local attestation requirements for the immigrant citizens. 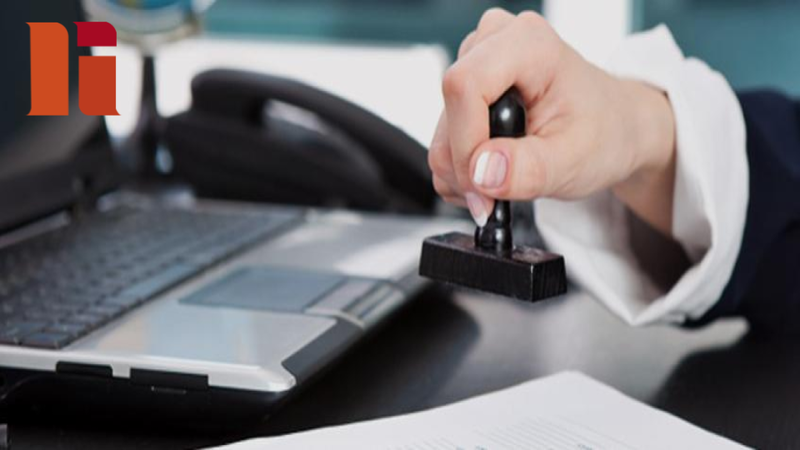 Here are a few document attestation services which needs to be performed locally in Oman. Please find the certificate attestation procedure in detail. Salary certificate attestation service are required for the new job documentation. Oman based companies required attested salary certificate of immigrants in order to make sure that certificates are genuine and from the correct source. Hence during the new job search, certificate holder can request for certificate attestation service in order to produce the attested certificate before the company. The company with whom you employed, should provide the salary certificate on company letterhead along with authority signature. ID card copy of the authorized person who signed the salary certificate on behalf of the company. Chamber of commerce membership card copy to be submitted. Copy of your passport to show your nationality. I.D card copy to show the Oman immigration status. The requester will submit all the mandatory certificates to the chamber of Commerce who looks after the employment department of Oman. Chamber of Commerce will attest the certificate based on the ground check they did at the source of the certificate. Soon after the certificate attestation service, Chamber of Commerce will send the certificate to the Ministry of Foreign Affairs. After receiving the certificate from the chamber of Commerce, MOFA will check the certificate and attestation remarks in order to confirm the genuinity of the certificate. Once the genuinity is confirmed, Oman Ministry of Foreign Affairs will attest the certificate. Once the certificate attestation is being done. MOFA will send the certificate to Indian Embassy for their certificate attestation. Indian Embassy will check the attestation details to confirm the credibility of the certificate. Once all the checks are positive, the Embassy will do the attestation and that will be called as Indian Embassy Attestation. The company with whom you employed, should provide the experience certificate on company letterhead along with authority signature. ID card copy of the authorized person who signed the experience certificate on behalf of the company. Attestation procedure will start by submitting the required certificates to the chamber of commerce. They will do a thorough investigation at the source of the certificate. Based on their investigation, they will attest the genuine certificate, After the certificate attestation service, Chamber of Commerce will send the certificate to the ministry of foreign affairs for further certificate attestation process. Ministry of foreign affairs will check the genuinity of the certificate after they receive it from the Chamber of Commerce. Once they confirm the certificate credibility, they will attest the experience certificate and it is called as MOFA Attestation. After the MOFA Attestation, the certificate will pass on to the concerned Embassy in Oman. Attestation from the concerned embassy is the final stage. Embassy will receive the certificate from Ministry of Foreign Affairs after the MOFA attestation. The embassy will check the certificate and attestation remarks and based on the credibility of the certificate they will attest the certificate which is known as Embassy Attestation. Transfer certificate or school leaving certificate is required while going from one school or college to another school/college. Attesting the transfer/leaving is mandatory for immigrants living in Oman. This is a legal formality to show that the certificate is genuine and the student is eligible for admission. The school or college where the education completed should provide the transfer school leaving certificate on school/college letterhead along with Principal’s signature. Father’s passport copy is mandatory to confirm the nationality of the father and child. Father’s Oman ID card copy is necessary to show the current immigration status. The initial stage of transfer/leaving certificate is to provide the certificate to Ministry of Education in Oman. Ministry of Education will do a ground check and will assign someone to do a direct investigation at the source of the certificate. Once the certificate validity is checked, based on the report, the ministry of education will attest the certificate. After the attestation from Ministry of education, Ministry of the certificate will check the attestation details for confirming the credibility of the certificate. Based on the facts, MOFA will attest the certificate and will send it to the concerned Embassy. The embassy will receive the certificate from the Ministry of Foreign Affairs. They will check the attestation remarks in order to confirm the credibility of the certificate. After the certificate check, they will attest the certificate. Police clearance certificate is necessary when you are living in Oman as immigrant status. Police clearance certificate needs to be attested before it submits for various official formalities. Original and copy of your passport to show your nationality. 2 clear photographs required for attestation purposes. As a prerequisites, PCC should be signed by Indian Embassy. The initial stage of Police Clearance Certificate attestation is to produce the PCC certificate before the Indian Embassy. Once the certificate is received, the Indian Embassy will check the details and will compare the history of the requester in India. Based on the investigation details, the Embassy will attest the certificate. After the certificate attestation, they will send the certificate to the Ministry of Foreign Affairs Oman. After receiving the certificate from Embassy, Ministry of Foreign Affairs will do a thorough checking of Embassy attestation and certificate details in order to confirm the genuinity and conduct of the requester. After the confirmation, MOFA will attest PCC attestation.